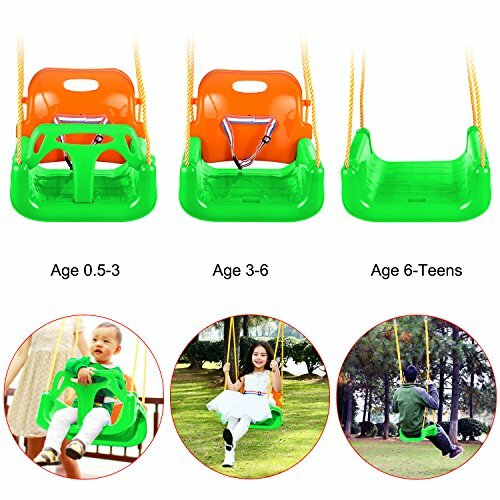 This swing seat is made of durable plastic which ensures hours of fun and years of joy. 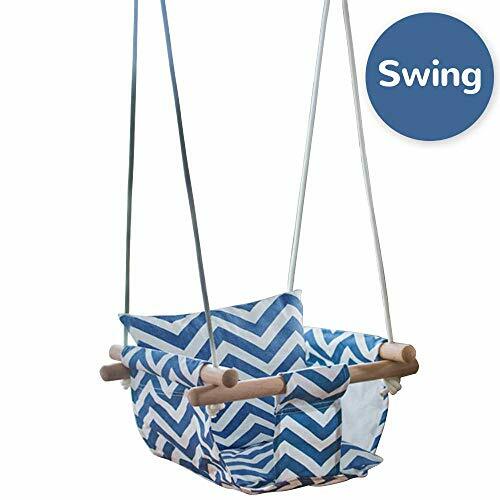 The Hanging Seat is rated to hold up to 300 pounds. 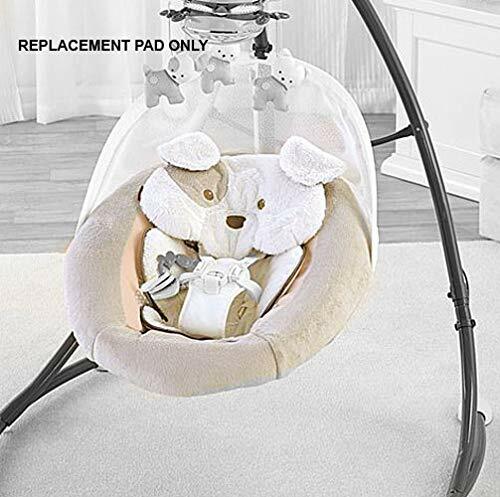 The swing seat is designed for infants, toddlers, children and teens. 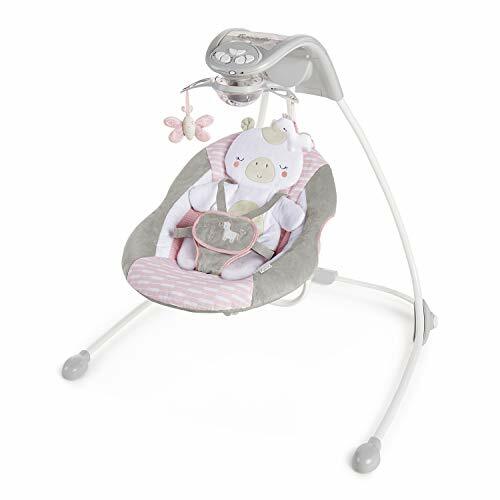 The convertible Edu-Play 3-in-1 Swing goes from baby to toddler to child with ease. 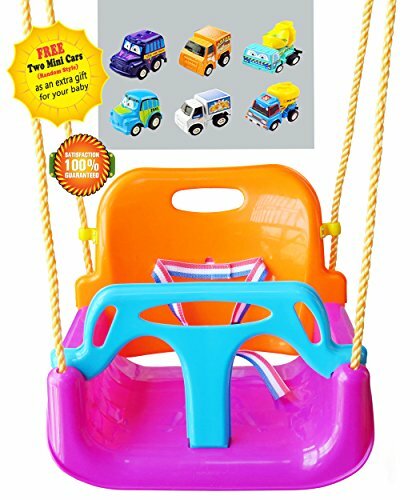 Suitable for kids from 6 months to 7 years old with a maximum weight of 66 pounds. 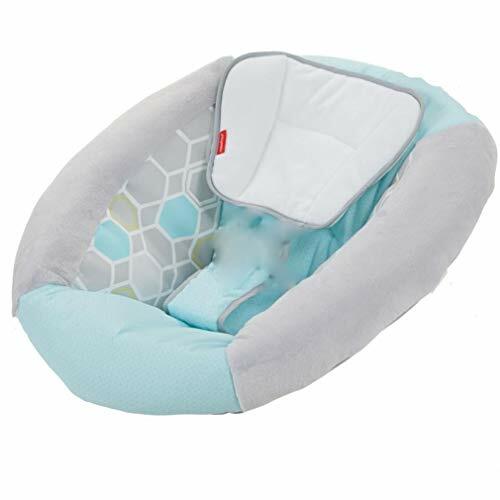 The front guard and eventually the back (which has a safety belt attached) ensure your child safer. Folding design easy for storage and transport. Giving you and your baby a happy outdoor time.